The Minister's Handbook is the Universal Ministries' improved replacement for books such as the Star Book for ministers that was written in the late 1800's for Baptist ministers. Many places offer the old Star Book, but as it was not updated with times it is woefully behind in today's knowledge base. 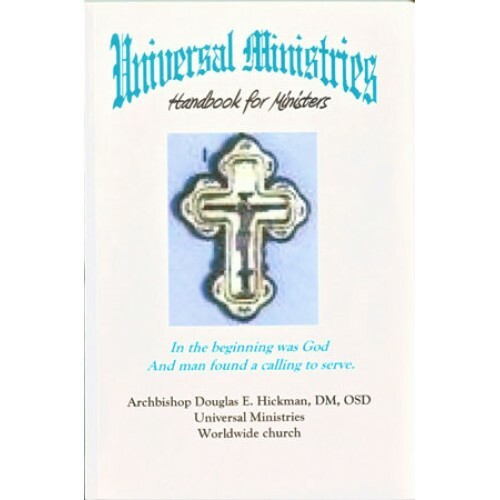 The Ministers handbook provides the more specific information ministers need to serve in the multitude of ceremonies, and functions in both the general public along with congregations, large and small without Traditional denominational limits of other books. This book should be a must for your training as it covers the many fields you will work in for general guidance. 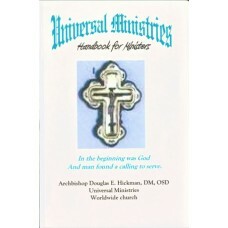 The Ministers Handbook, like all UM books is a Perfect-bound soft cover book that fits well into your UM library of books.